Langkamp began distributing tracts and was soon providing blankets and support to the needy on the West Side of Chicago. With these beginnings, Lampstand Ministries came into being. Lampstand Ministries serves the west side of Chicago, bridging the gap between suburbs and city, different denomination and races and ultimately between people and Jesus Christ. 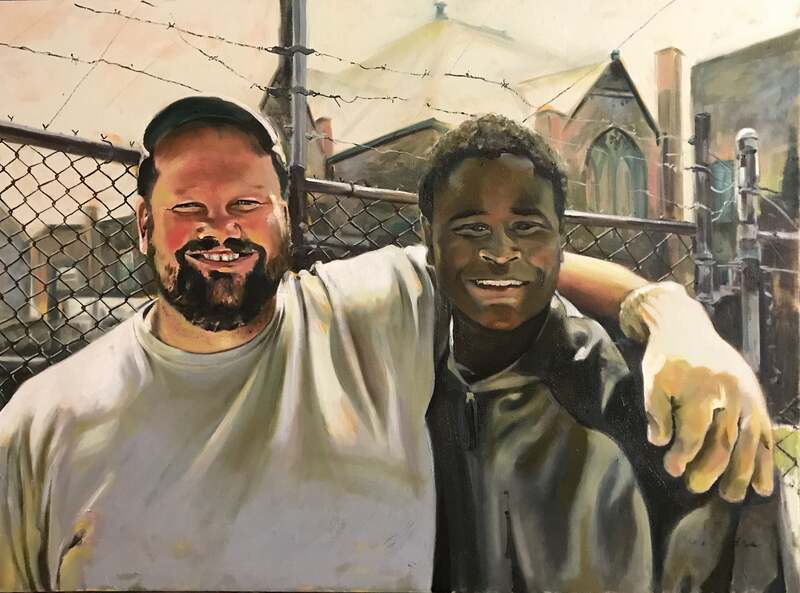 This painting to me simply shows how Chris and Lampstand Ministries strive to have a life-changing impact by bringing the love of Christ to those who are looking for help.